Our mission is to maintain and enhance the sustainability of existing communities by supporting them to set up local community land trusts to own and manage assets, primarily affordable housing, but also other facilities and amenities that meet the needs of the people of Wiltshire, Swindon and neighbouring areas. Membership of Wiltshire Community Land Trust requires the purchase of a share of the value of £1 (one pound). To become a shareholding member, application* should be made in writing to the Trust’s registered office, and should be accompanied by the £1 share purchase price. * PDF copies of WCLT’s Rules and a membership application form can be found to the left of the screen. Trevor Cherrett is a rural planner with particular expertise and experience in housing and community development issues. His career spans local and central government; teaching, research and consultancy, including authorship of a good practice guide to meeting affordable rural housing needs; and rural community development at the local level as a former Director of the Sussex Rural Community Council. He served as an expert advisor to the Commission for Rural Communities from 2005 to 2010, focusing on planning for sustainable rural communities, and played a major part in the creation of the national Rural Coalition chaired by Lord (Matthew) Taylor and the publication of its rural prospectus The Rural Challenge in 2010. He was a consultant on the Carnegie UK Trust Rural Action Research Programme, and is a member of the Town and Country Planning Association`s Policy Council. Trevor is also a part-time course tutor at the University of Reading, and a Board Member of Wiltshire Rural Housing Association. Philippa Read has recently retired from her role as Chief Executive of Community First, the Rural Community Council for Wiltshire and Swindon. Philippa has an extensive knowledge of Wiltshire and its communities, having worked for Community First for over 19 years, and through her work is involved in various strategic partnerships, including the Wiltshire Assembly, Action for Wiltshire, the Military and Civilian Integration Sponsoring Group, the Wiltshire Voluntary Sector Infrastructure Consortium Wiltshire Strategic Economic Partnership Executive and the Social Enterprise Working Group. 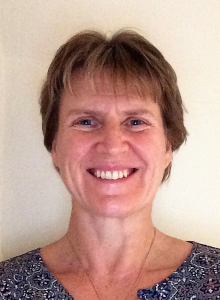 She is currently chair of the Wiltshire Activity and Sport Partnership. Mike R Ash is a Chartered Town Planner, a Member of the Royal Town Planning Institute and a Vice President of the Town and Country Planning Association. He worked for 35 years in the various central Government departments responsible for the town and country planning system and was the Chief Planner for ten years until his retirement in 2006. He advised Ministers on planning legislation, on policy and on major planning decisions. Earlier in his career he worked on policy for rural areas, for urban regeneration and on housing finance. Mike Ash has lived in Bishopstone, near Salisbury, since 2008. He has served as a Councillor on Bishopstone Parish Council and is now the Parish Clerk. Mike Chairs Wiltshire Rural Housing Association. Richard Kitson has been involved in the housing sector at national, regional and local level for over 40 years. Amongst his current roles he is a board member of Wiltshire Rural Housing Association and of South West Housing Initiative, an organisation that is a partnership of employers, trades unions and the professions which argues the case for the provision of sufficient and affordable homes. As a freelance consultant he provides advice on strategies and leadership to a number of organisations and coaches and mentors chief executives and directors. He is also a board member of Artichoke, a creative arts production company. He is a former housing association group chief executive and local authority housing director and a former President of the Chartered Institute of Housing. He was awarded an OBE in 2010. He championed the creation of WCLT and lives in a village in south west Wiltshire. Stephen is an Independent Economic Consultant and Lecturer with a special interest in Land, Spatial Planning and Development. Stephen is a specialist in Development Appraisal and Economic Viability (including the impact of delivering affordable housing, planning obligations and CIL). Michael Ash has worked in the affordable housing sector for over 25 years. He is currently the Head of Housing and Community Safety at Swindon Borough Council. After graduating from Lancaster University he spent time as a civil servant in the Home Office and worked for an international hotel chain. He started his housing career with a London based housing association before moving to Swindon. He recently project managed Swindon’s “Housing Vote” and subsequently accepted the role of Head of Housing at the Borough. He now has additional responsibilities for Community Safety. Michael is responsible for all of the statutory and landlord housing functions in Swindon. Swindon was the first authority in the South West to start building council houses again after a break of 20 years, taking advantage of opportunities for growth and dealing with ongoing pressures of homelessness. Michael is a Corporate Member of the Chartered Institute of Housing and until recently a Board Member of Synergy Housing. Formerly a banker, worked for the Hongkong and Shanghai Banking Corporation, latterly the HSBC Group, until his retirement in 2004. He spent the larger part of his career as an international executive, working in various countries in the Far East and Europe. He held a number of senior management roles, including running the Group’s banking businesses in London and Malaysia and as global head of Private Banking and, finally, Strategic Development. Tim was born in Wiltshire and has had his UK base in the county since 1979. He lives in West Lavington. He has been involved in business mentoring in the area and was for some years chairman of White Horse Opera, the Devizes-based amateur opera company. He retains an interest in business in Asia as chairman of an asset management company based in Kuala Lumpur. Tim is a board member of Wiltshire Rural Housing Association. Melanie is a Property Investor in Wiltshire and Owner and CEO of Responsible Homes an initiative that helps people to buy their first homes. Responsible Homes build rental properties in city centres and rent them at a cost that allows a significant amount to be put in to a savings plan creating their first deposit. Melanie was previously Chief Executive of The Consortium, a successful Wiltshire business selling in to the education and care markets. Brian has over 30 years professional housing experience with Swindon Borough Council. He held the position of Head of Housing Services until his retirement. Brian is a Fellow of the Chartered Institute of Housing (CIH) and served on its National Council representing the interests of the South West, for six years. He has been an elected Councillor of Swindon Borough Council since 2006 having held four cabinet positions, including until recently, Cabinet Lead of Housing. He is currently Cabinet Lead for Health & Adult Social Care and sits on the Regional Committee of the CIH in the South West. 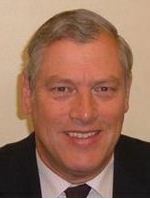 John Thomson was elected to Wiltshire Council in 2009 for Sherston Divison. He is currently the Deputy Leader of Wiltshire Council and also the Cabinet Member for Adult Care, Communities and Housing. His long career in local politics began in 1984 as a parish councillor for Luckington. 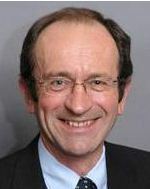 Subsequently Jonh has served as a District and County Councillor for North Wiltshire District Council and Wiltshire County Council respectively, and he was appointed Deputy Leader of Wiltshire County Council in 2005. John’s working life started in 1972 in France for Galeries Lafayette in Paris and Monoprix in Cannes as part of an exchange programme with Tesco Stores Ltd. He went on to work for Tesco in the UK until 1978. Latterly he started up a number of successful companies, including an importing company for building materials, builder’s merchants, a building development company and an international yacht building and marketing company. All have been sold and John retired in 2002. John attended Millfield Public School nearby in Somerset (at the time the only school in the county to recognise dyslexia, which John has). He has been married to his wife Roz for 30 years and has a daughter, Jade, aged 17 years. They live in Malmesbury. 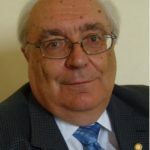 Cllr Keith Humphries is Wiltshire Council’s Cabinet member with responsibility for Adult Social Care and Housing, Public Health and Public Protection Services. Originally from Carshalton in Surrey, Keith’s wide-ranging career brought him to Wiltshire via the regular army, teaching from primary to degree level, volunteering in East Africa among the Samburu people, and setting up and running his own computer companies. In his spare time Keith is a member of Rotary. He enjoys cooking, building radio controlled models, n gauge railway modelling and is a follower of English Rugby Union and Formula 1. A musician from an early age over the years, Keith has performed in all kinds of musical ensembles including orchestras, brass bands, baroque ensembles, pit orchestras, rock groups and show bands. Cllr Richard Hurley has been Swindon Borough Council’s Cabinet member for Public Protection, Housing and Streetsmart (Delivery). Diane Hall has extensive experience in social housing. She is currently the finance director of Selwood Housing, a housing association based in Trowbridge. Her role encompasses finance, IT, development, and performance and research teams. Previously, Diane was the group director of finance for Somer Housing Group in Bath where she worked for eight years. Diane has a degree in economics with first class honours from the London School of Economics. Anna Kear is the Regional Development Director (Hampshire & Wiltshire) Aster Homes (part of the Aster Group). Anna has over 25 years experience in housing and development for housing associations, local authorities and developers including working for the Rural Housing Trust in the early 90s on many exception site developments with rural communities. Anna has previously been vice-chair of the Devizes Carnival Committee.